The classic Edwardian bridge mixer is a traditional cross handle operated kitchen tap with adjustable cranked legs and swivel spout. This tap is an ideal match for Belfast sinks. 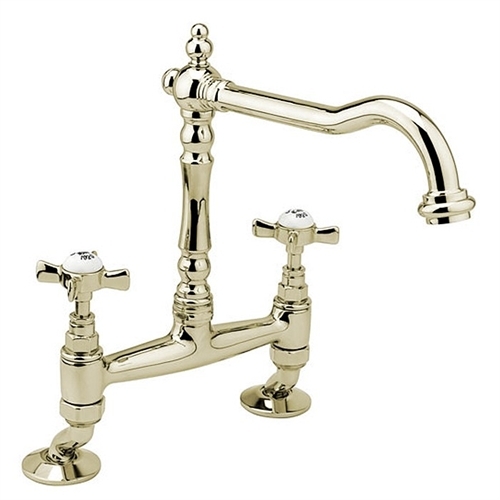 As this is a genuine gold plated finish we recommend cleaning this tap with a soft cloth and mild non abrasive cleaner only. The use of abrasive cleaners and harsh chemicals should be avoided.